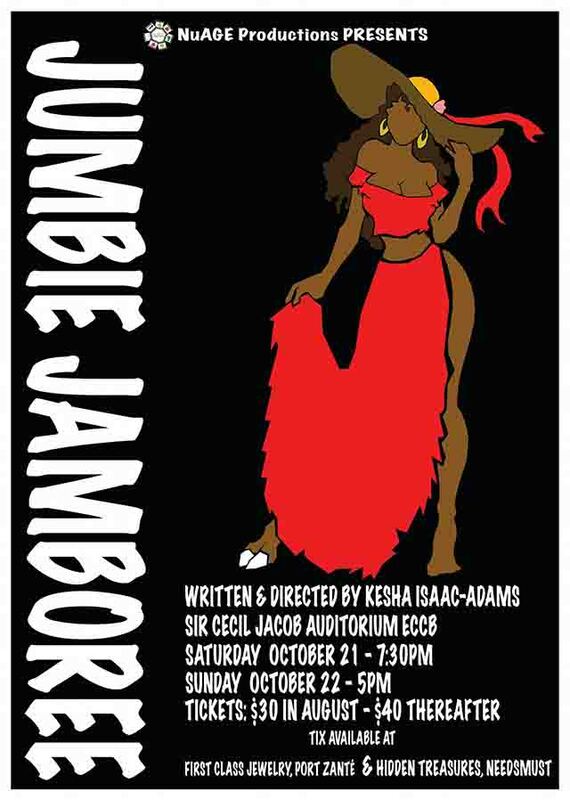 Jumbie Jamboree, a locally written and directed play described as a compilation of West Indian folklore, is set to haunt the halls of the Sir Cecil Jacobs Auditorium with tales of La Diablesse, River Mumi and other Caribbean myths and legends. The effort is the result of a passion project by Writer and Director Kesha Isaac-Adams and is over 7 years in the making. Jumbie Jamboree alludes to a more simple time by putting to life the stories told in the dark and when the power goes out, before smartphones distracted us from human interaction, ands add a powerful edge to the allusion by focusing on tales of evil, spirits and folklore spread. Delé Adams, the director’s husband and show promoter for NuAge Productions, spoke with the Observer about the upcoming performance. Adams described the play as a microcosm of all of the West Indian ghost stories and folklore that used to be told around the campfire. The story centers around a family in modern times, going about their daily business until the power goes out. This empowers the grandmother to convince her family to put down their smartphones and gather together to tell stories. The play examines the fact that human beings are nothing if not storytellers, and examines our unique ability as humans to elicit deep emotions from nothing more than our voices and the ways in which our bodies communicate dialogue. Ghost and Jumbie stories will be a focal point of the performance, as the creators wanted to examine the tales told deliberately to frighten each other with. The production team is just under 20 dedicated individuals, and this production has been locally sourced at every angle. The team wants a chance to exemplify a high value product from local performers so people realize the value of ensuring more plays are created with a local point of view. It is designed to touch the hearts and minds of all Kittitians and Nevisians. Tickets are on sale at First Class Jewelry and Hidden Treasures on Port Zante. The performances take place Saturday, Oct. 21st and Sunday, Oct. 22nd.